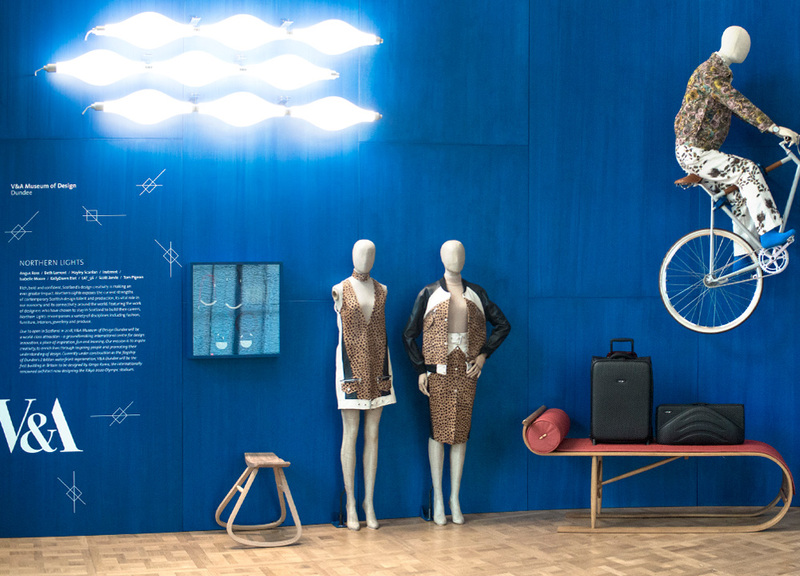 Launched at the V&A Museum during London Design Festival 2016. 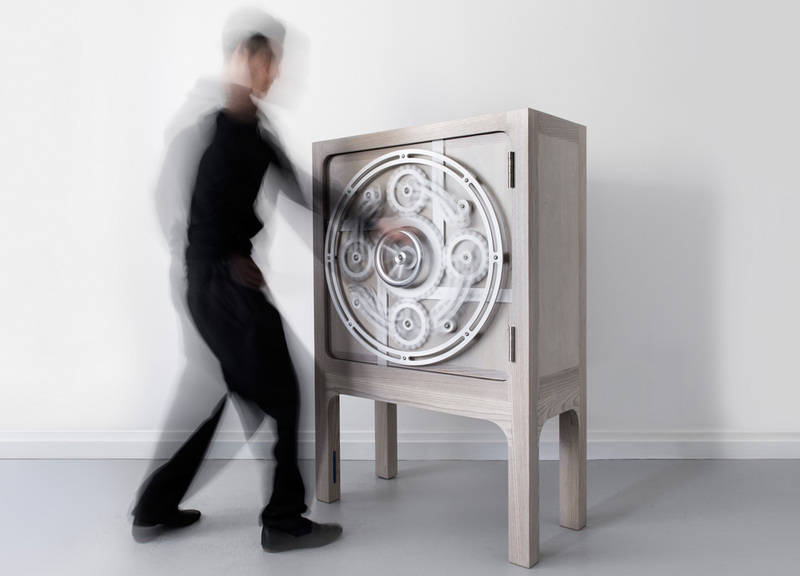 The Safe Cabinet is a theatrical collections cabinet for your most treasured possessions. 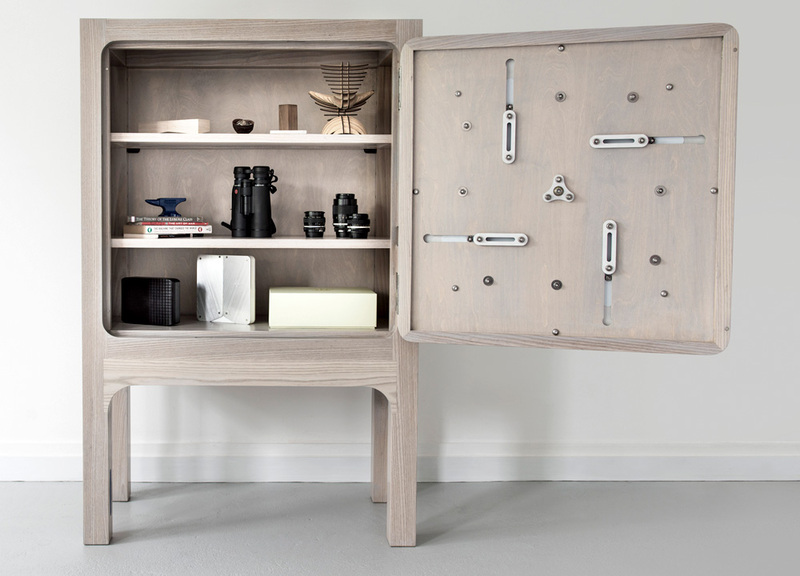 The design features an exquisitely engineered closing mechanism and fully adjustable shelving system that can be tailored to your collections requirements. 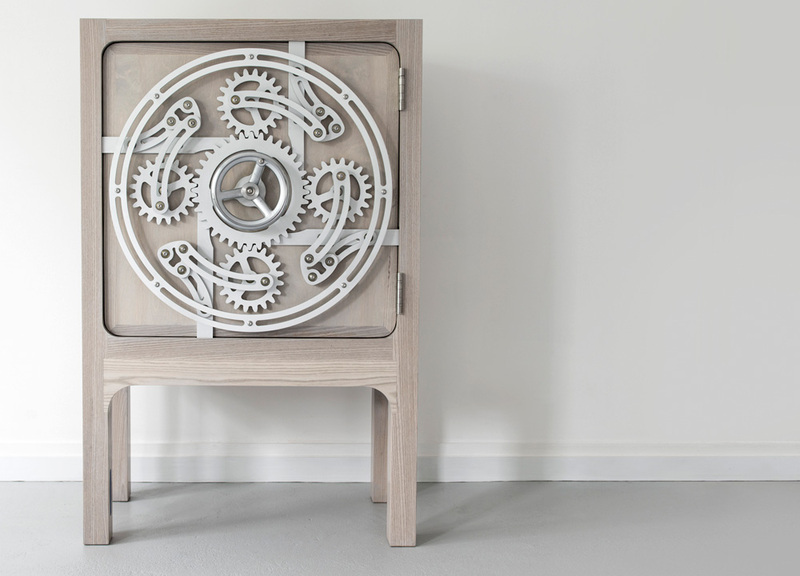 Inspired by the whimsy and fantasy of popular culture the Safe Cabinet aspires to be an object of value as well as a vessel for value. 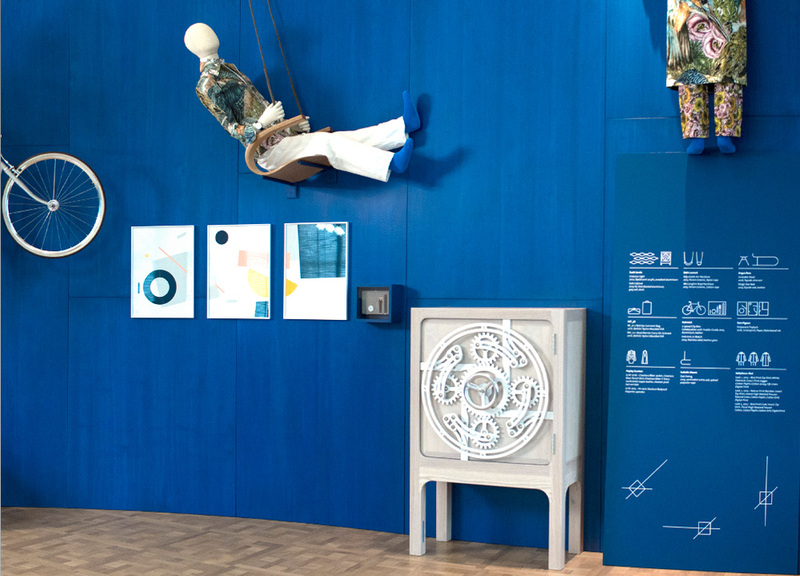 The theatre of the piece is achieved through the motion of the mechanism as it is turned via the central hand wheel. 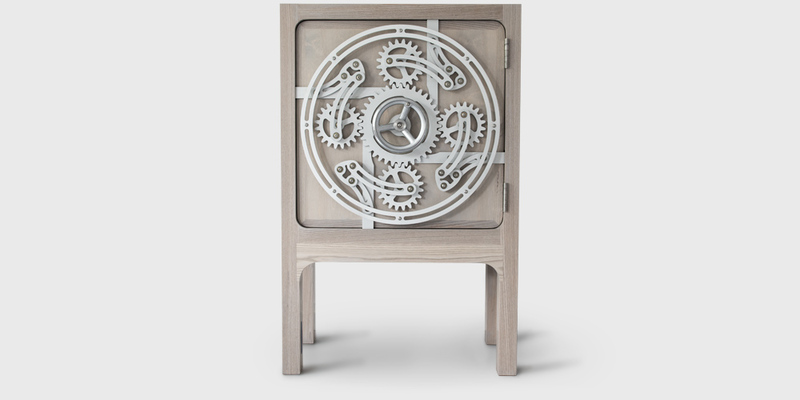 Continuous rotation cycles the mechanism between the locked and unlocked position, creating a mesmerizing visual effect. 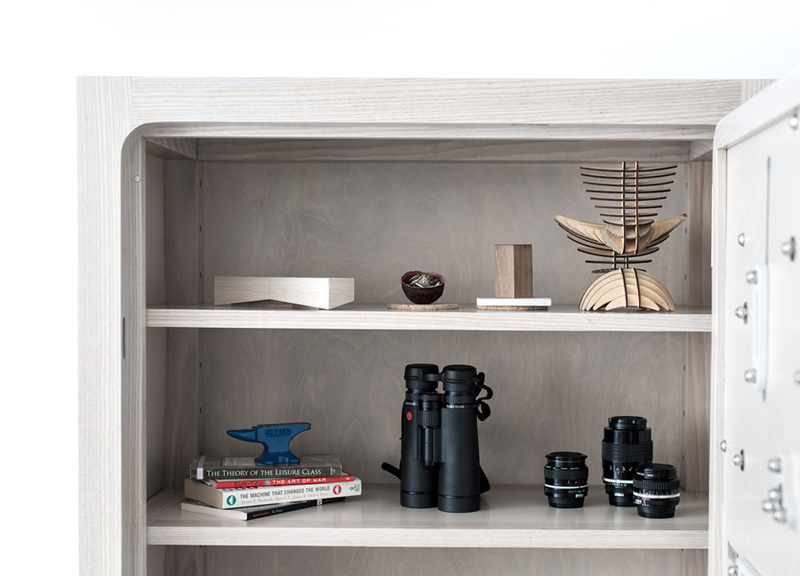 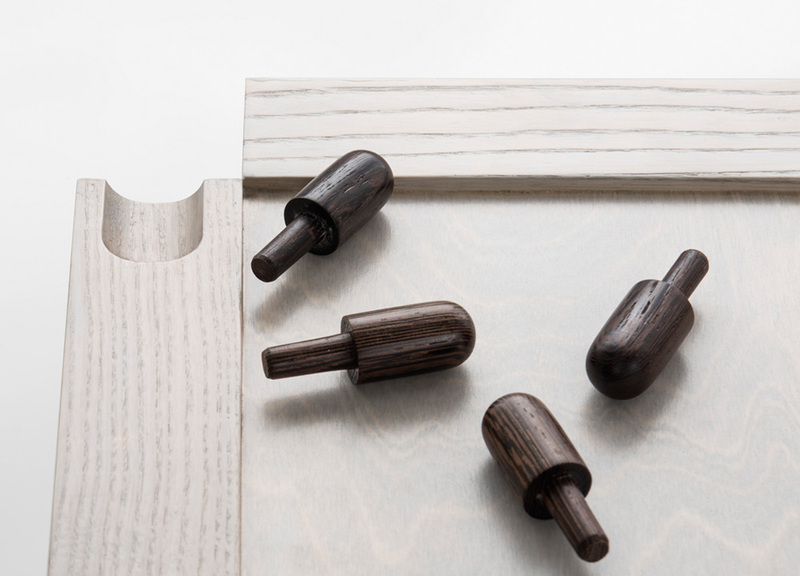 The piece is generously proportioned and its height adjustable shelves offer considerable flexibility of storage. 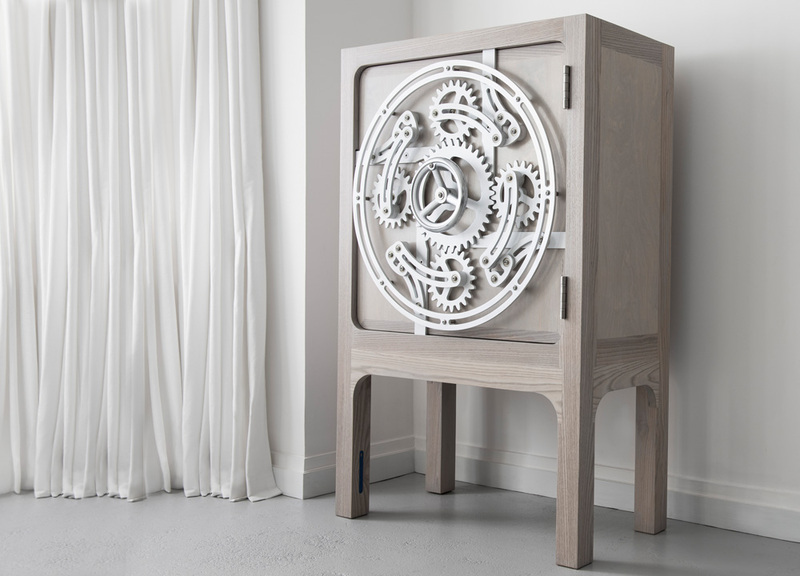 The Safe Cabinet, Clyde Built.